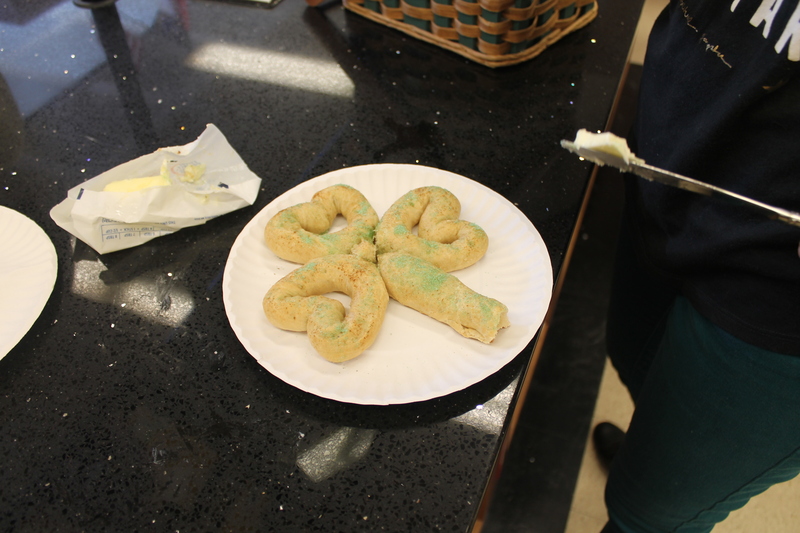 What an amazing Saint Patrick’s Day celebration we had in Foods 1 today. 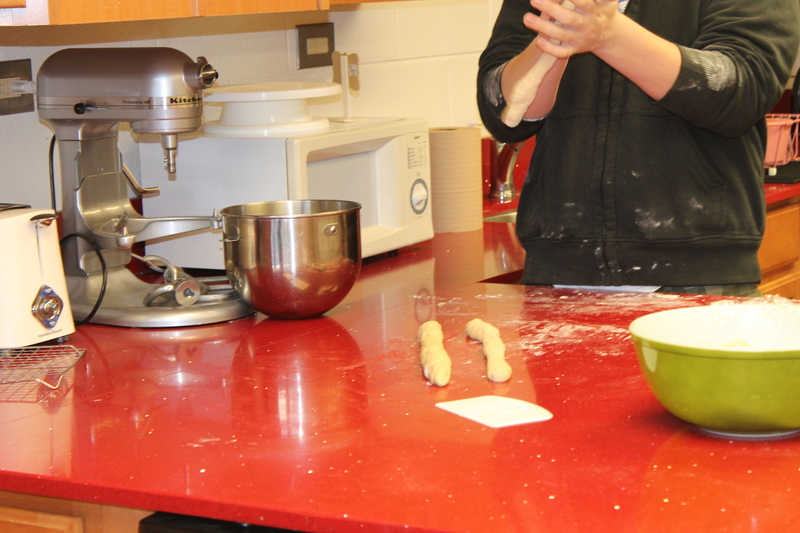 We started our King Arthur Partnership project yesterday by making the yeast dough recipe following King Arthur’s recipe booklet and DVD. 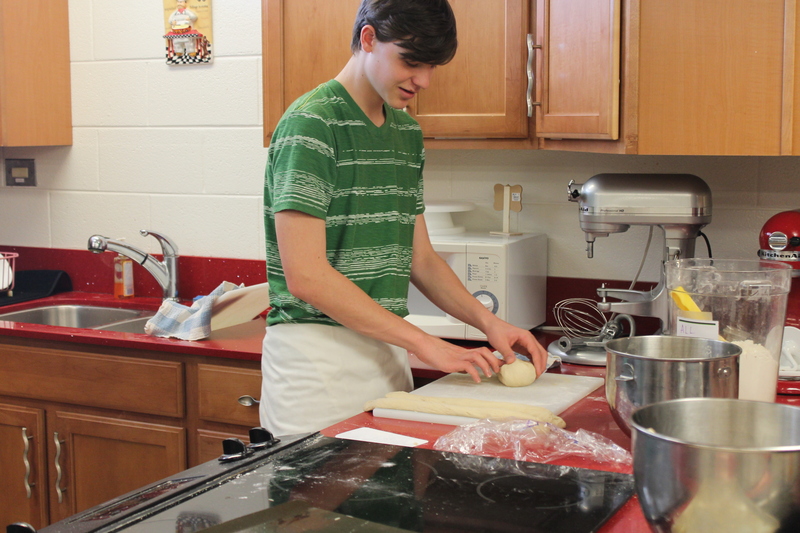 Since it is a 3 1/3 hour process, the plan was to make the dough, allow it rise, punch it down and refrigerate. 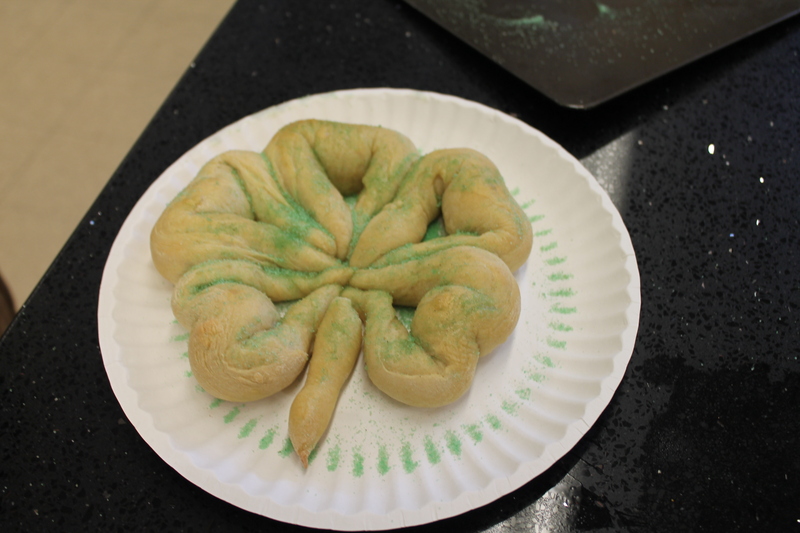 On baking day I allowed the dough to come to room temperature for the students and we shaped half of the recipe into a loaf while using the other half for the Saint Patrick’s Day pretzels. I used the DVD and created a listening guide to accompany the tutorial to help keep them focused. 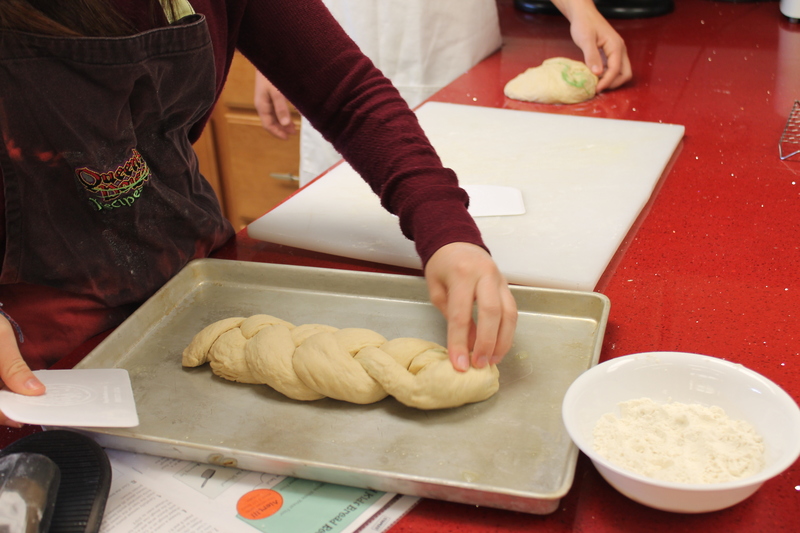 The braid was a huge hit for students to try. Almost every group except two chose the braid. 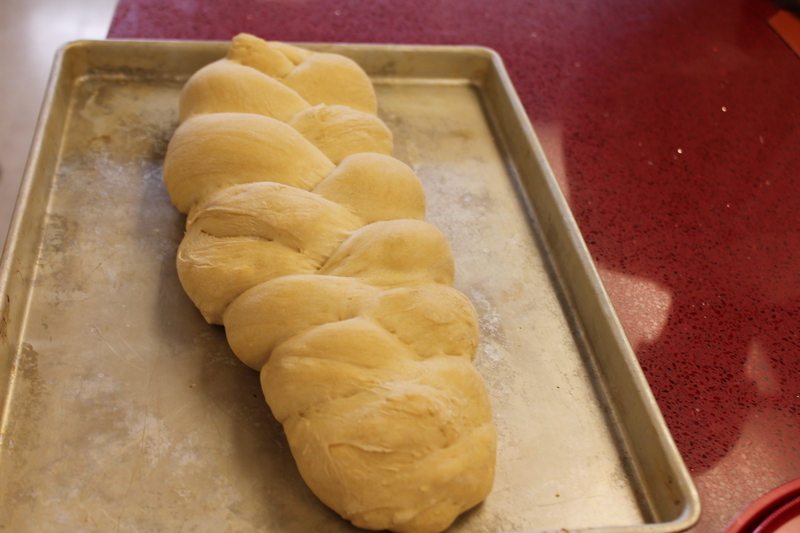 Great job braiding the bread! Check out this nice braid. 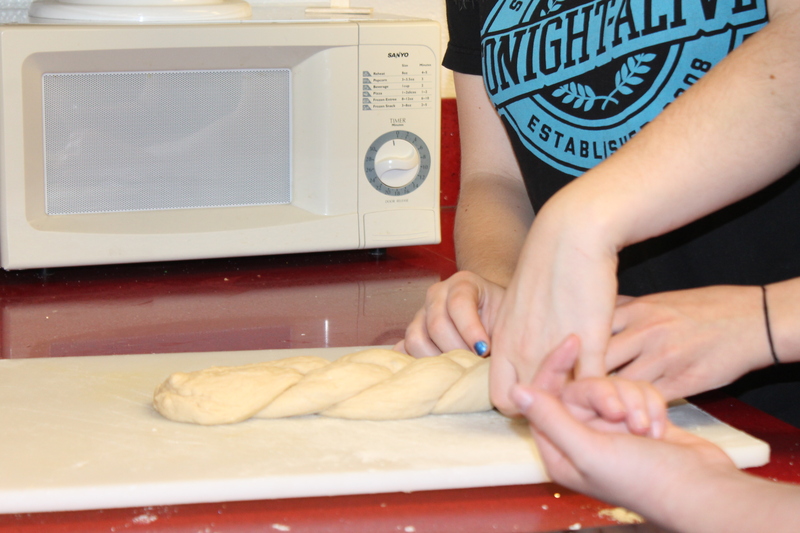 Here’s another braid in action. Way to go Monica. 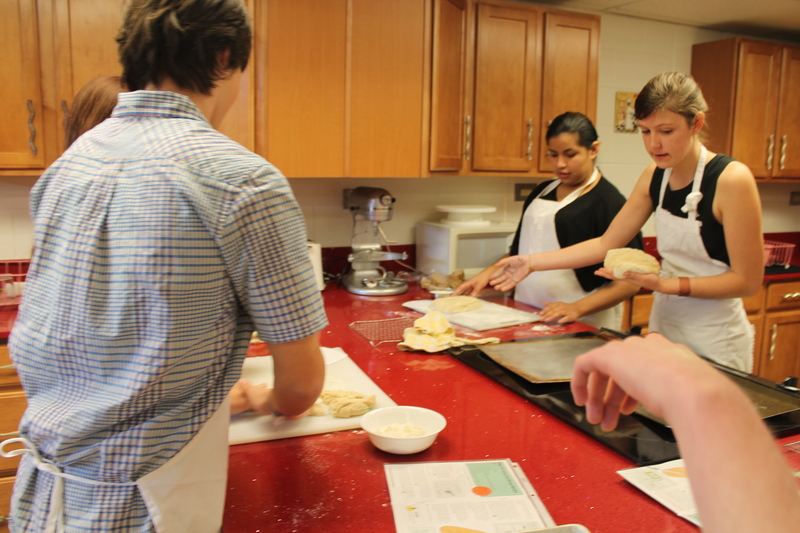 This group is dividing their dough in half to create the two projects for the day. 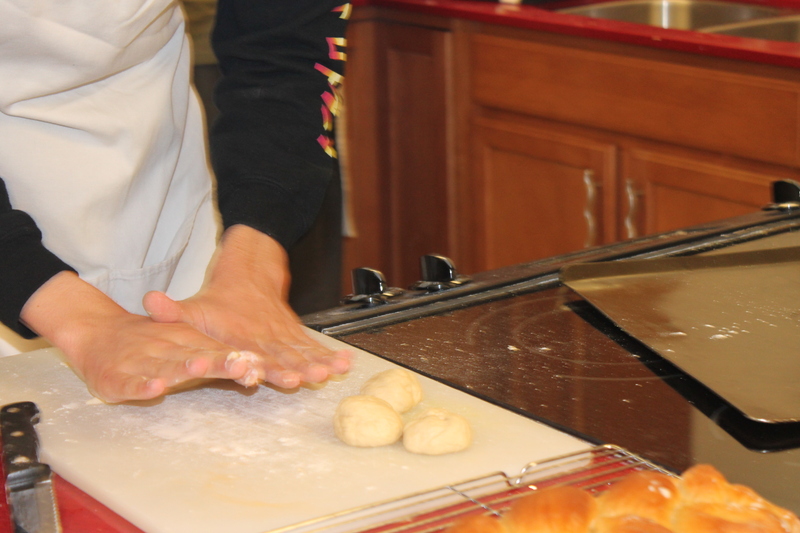 We found the dough scrapers very hand for moving the braid loaf to the greased pan. 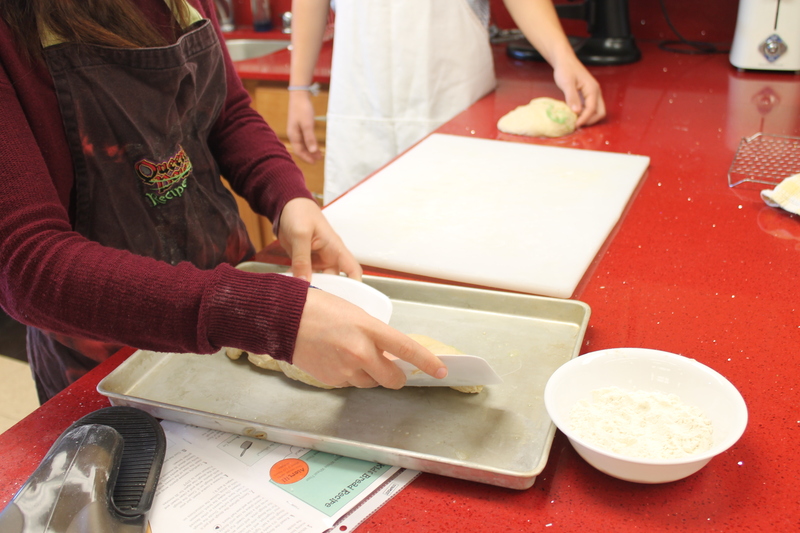 King Arthur generously donated 50 of these handy tools for students to take home along with the recipe booklets. One scraper at the top and bottom moved the bread nicely without stretching it. Thank you King Arthur for these handy dandy kitchen tools! 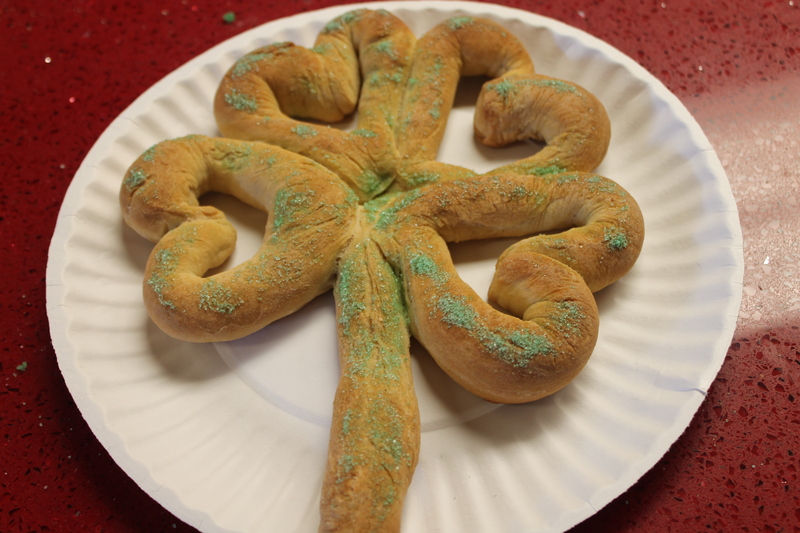 With lots of braids ready to bake, we are ready to move onto the green clovers. Aren’t they beauties? I got a kick start on the second rise by preheating one oven to 200 and placing the loaves inside for about 30 minutes to double in size. 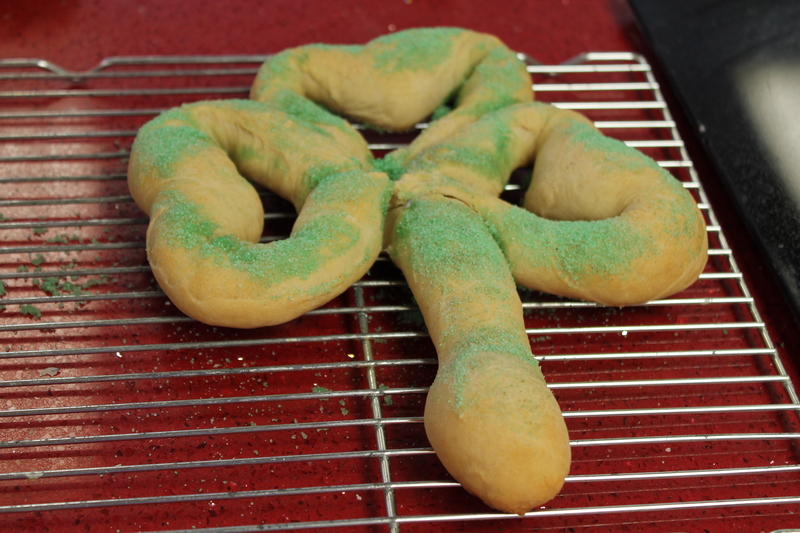 And then we proceeded to bake while we shaped pretzels. Thirty minutes later we were brushing butter on these gorgeous first time loaves!!! 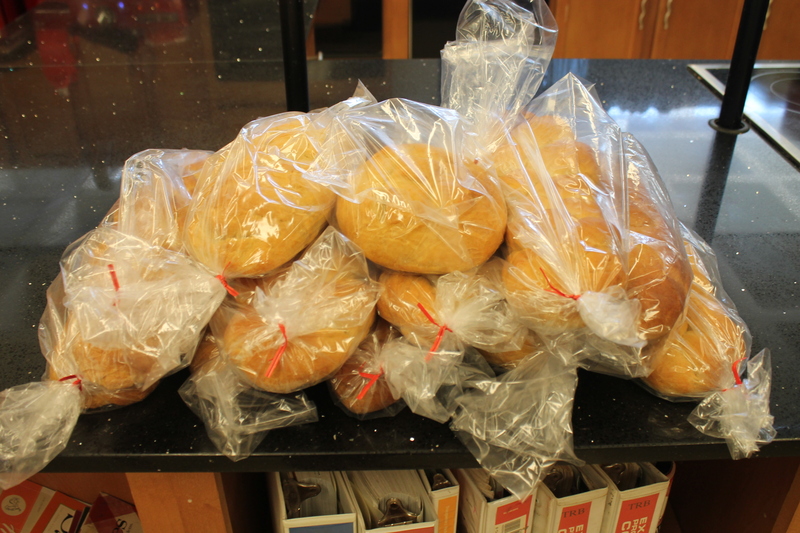 Success and chef hats off to the kiddos for their first yeast breads. There’s not too many adults who can make this their first go around, don’t you think? Plenty to cool and now plenty to share with our homeless population. 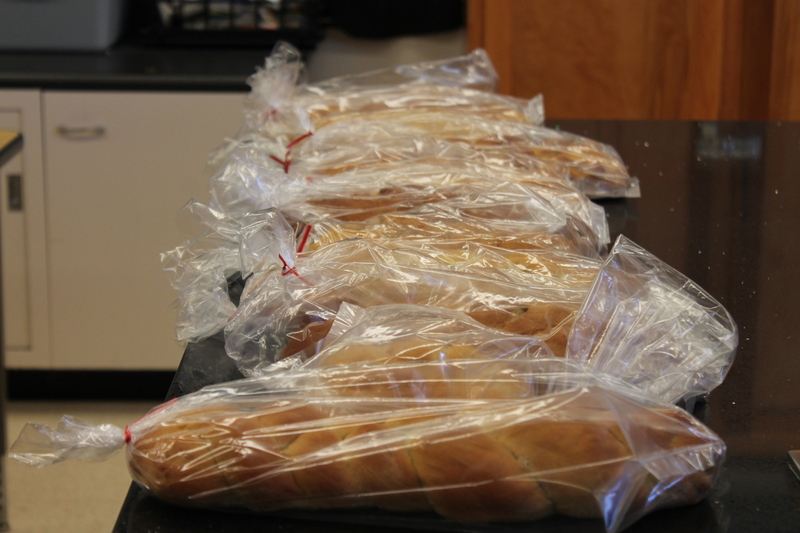 Many of the students want to share in the giving experience when we deliver the bread to our local shelter. For now, it goes in the freezer until next week. Pretzel ropes anyone? We’ve got them everywhere. Students are creating hearts connected to form a clover and a stem. I dyed some regular sugar green and had a big bag ready for students to dust until their heart was content. 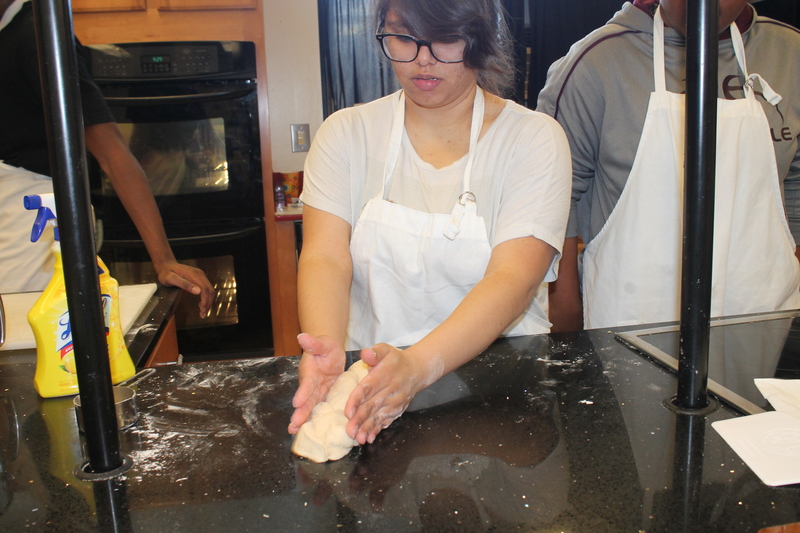 Dough for the needy and dough for us. The kids felt it was a win-win. 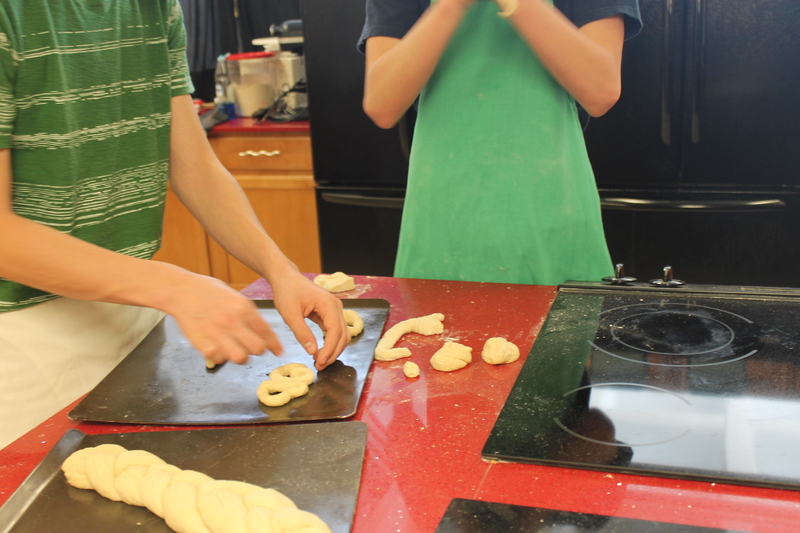 And the pretzels were coming together nicely with a bit of flour on the clothes (for those who didn’t want to wear aprons). I warned the ones in black clothing! 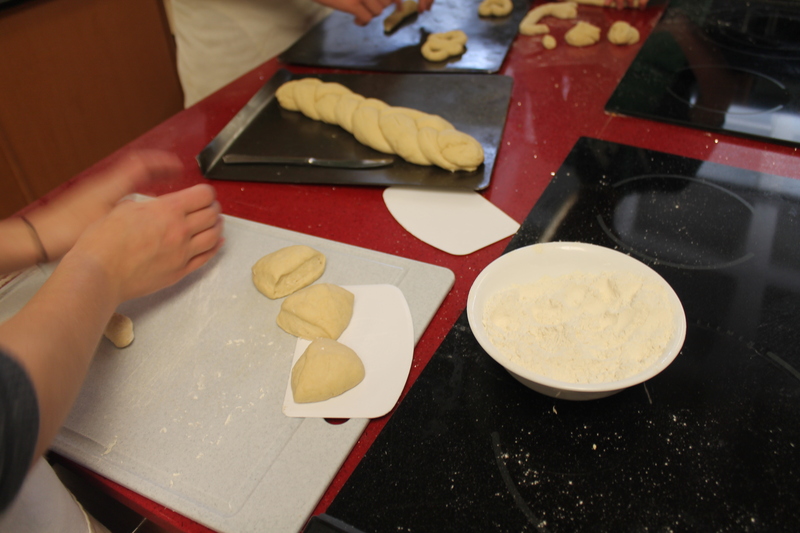 After many dough balls, rope twisting and turning we finally had some super masterpieces. 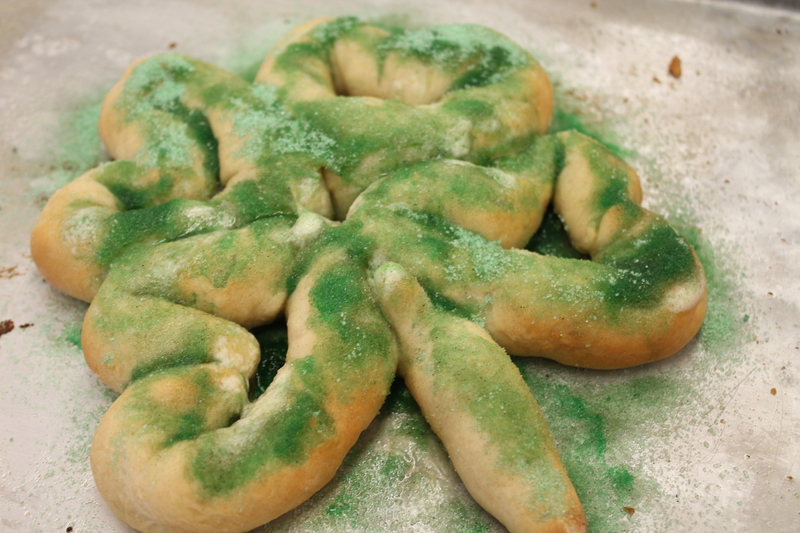 Scrumptious looking four leaf clover. There really are four leaf clovers to be found in our room. 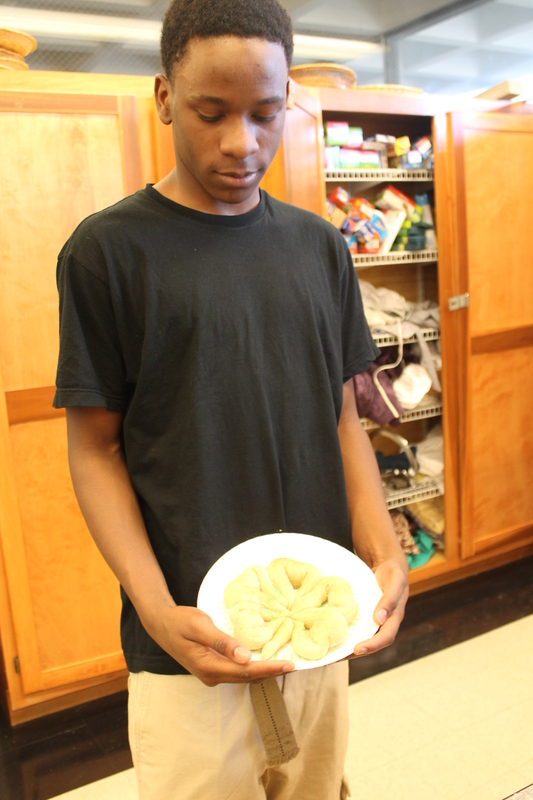 This is one proud Foods teacher for all the efforts of her three classes combined. 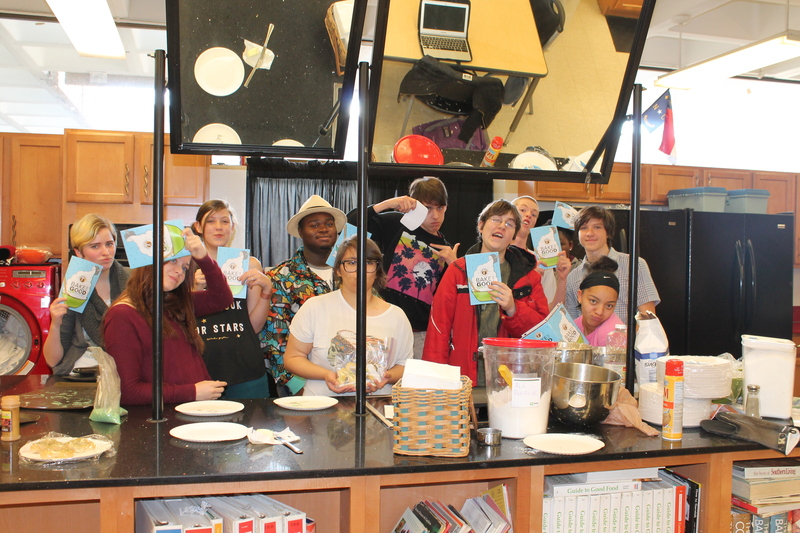 My students have learned, baked and now shared with our community thanks to King Arthur! Go to this link to learn more about this fantastic educational program. 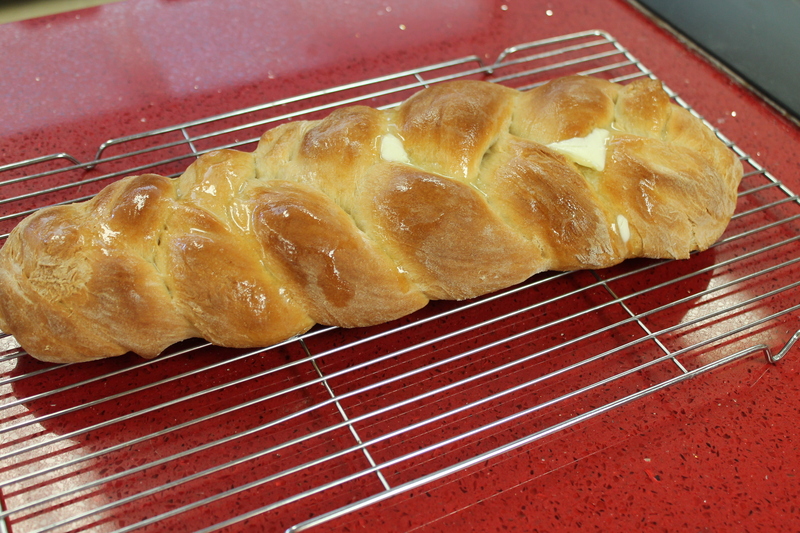 Have you ever made homemade yeast bread? 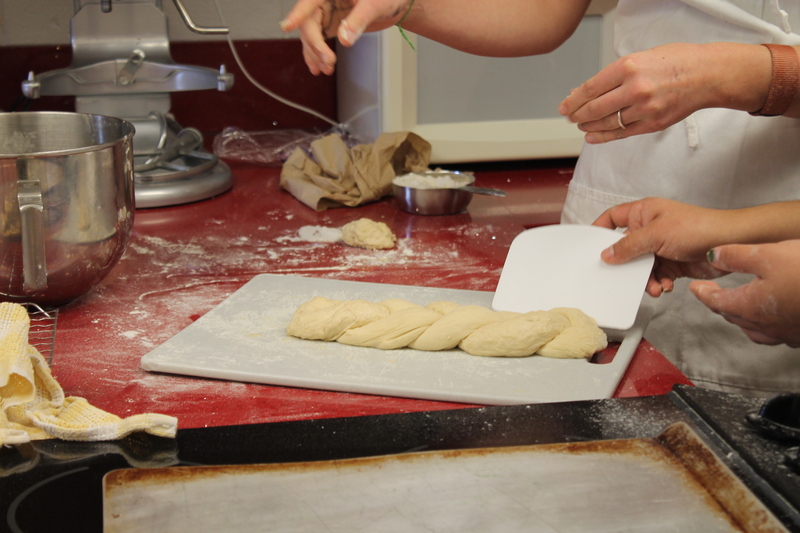 We’ll be making this recipe again for more frugal yeast bread products like pizza, hot pockets, stromboli and more!